If that may be sweets from home or a sweet from your childhood or even just your favourite snack. We are a leading sweet shop based in Sorrento Quay Hillarys Boat Harbour Perth WA. 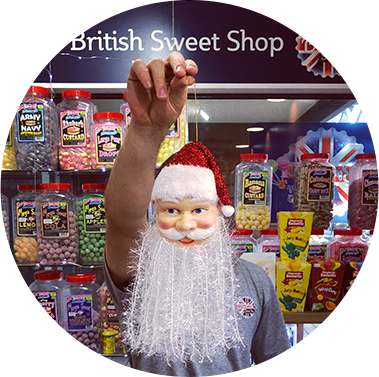 With the widest range of British Sweets, Chocolates, Crisps and Soft Drinks we have something for every occasion. We pride ourselves on being a family run business that goes to any lengths to keep our customers coming back. We excel in customer service and we base our brand around love and a little bit of fun just like the first time you put a sweet in your mouth.